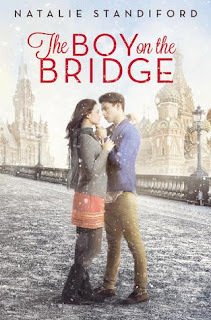 While studying abroad in Russia, Laura keeps her eyes open for an adventure and finds one when a boy, Alyosha, rescues her from gypsies on the bridge. From then on, what seems like fate carries her and Alyosha through Russia on a reckless journey. The Boy on the Bridge is a heartbreaking romance that tears readers’ hearts apart but makes them love the book even more. As bad as I must admit, I picked up the book purely based on my opinion of the cover. It has been quite a while since I’ve seen a cover that truly depicts the book. First thing I noticed and I loved was that the male model on the cover: he looks Russian which is how people should create covers about a book set in Russia. Plus, Alyosha, on the cover, is attractive. The cover is filled with gorgeous colors and makes me want to visit Russia for the architecture. I read How to Say Goodbye in Robot a few years ago and when I picked up this one, I recognized Standiford’s name. I didn’t much care for How to Say Goodbye in Robot, mostly because its slow pacing and a story that just wasn’t for me. 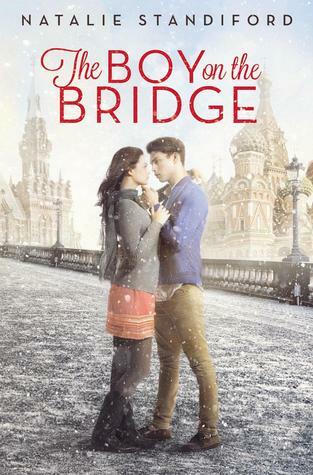 However, the cover of The Boy on the Bridge was so cute, I wanted to give this one a try. The writing style was just as I remembered. It was sad and terribly heart wrenching. The plot was different. I was unused to its pacing and unsure of where it was going. It was unpredictable; the story would go one way and the characters would do the opposite of what I originally thought. However, there could have been so much more put into the plot that wasn’t there. Standiford kept mentioning a man with a dog, while Laura would telephone Alyosha. I kept waiting for something to happen with this man with a dog: was he a stalker; who is he? Nothing ever did. Laura had no personality. Plus, I have no idea how it was in the 80s but when a girl who has a boyfriend goes to study abroad and finds another guy and just pretends that she doesn’t have a boyfriend because he was kind of dumb to begin with, is not the sort of girl that I love as a main character. Some of her decisions were awful and I couldn’t back them up or forgive them even though I wanted to love the girl. I wish this book was longer so I could have connected to the characters in the way that I wished to. The Boy on the Bridge wisps readers back to the 80s, where Russia is a bit dangerous and Laura seeks adventure. This is a heart wrenching story that will grip you tight and leave you in tears. Rated PG-13 for sexual content and violence. Boy on the Bridge immersed me in an intriguing and completely foreign world: 1982 Leningrad. 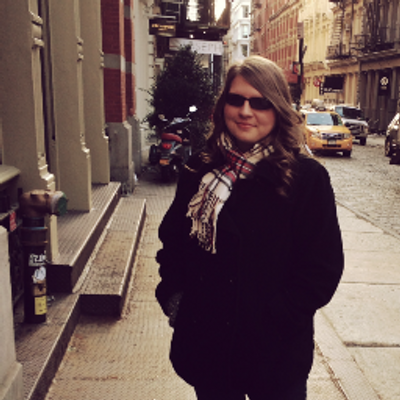 College student Laura Reid is participating in an exchange program, spending a semester working on her Russian and soaking up the culture. I thought the author expressed great relationship between Russians and Americans and Laura came out as a typical American teenager-like girl. At times she was very immature and I did not like her actions but I had to finish the story and glad I did.